In many cases, I firmly believe that skincare is worth spending on because frankly, even the most expensive paint will look rubbish on a cheap canvas. However, I’ve been trialling two moisture masks lately that vary hugely in price and have been quite surprised by the results. 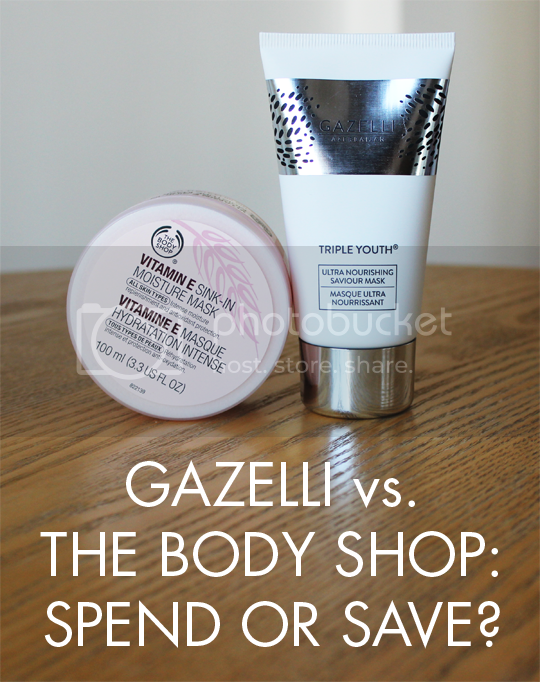 Here comes the battle of the brands – Gazelli vs The Body Shop! In the red corner, we have the Gazelli Ultra Nourishing Saviour Mask*. As far as skincare giants of the world go, Azerbaijan isn’t a country that typically springs to mind. They do, however, have one particular skincare export that has won legions of fans the world over. Gazelli is a family business straight out of Baku, with brand values that strike a sensible balance between science and nature. Over in the blue corner is The Body Shop Vitamin E Sink-in Moisture Mask*. Like the country of Azerbaijan, The Body Shop also isn’t synonymous with skincare for most people, being better known for Body Butters, shower gels and gift sets. Despite that, I’ve fallen very hard for a couple of their skincare pieces including the Vitamin E Serum-in-oil and Chamomile Cleansing Butter. The hero ingredients of Gazelli’s mask include fig extract, a natural source of alpha-hydroxy acids (AHAs) and the brand’s patented Gazelli White Oil, a precious natural resource unique to Azerbaijan and formed over many years in the deep layers of the earth. The stars of the show in The Body Shop’s mask are rather more humble and modest, in the form of wheatgerm oil (nature’s richest source of Vitamin E) and soya oil. These are both Community Fair Trade ingredients, so bonus points for that. Winner: A dead heat. Gazelli’s ingredients sound luxe and exotic, but The Body Shop are staying true to their Beauty With Heart manifesto using Community Fair Trade sources. The Gazelli Ultra Nourishing Saviour Mask smells nothing short of divine. It’s hard to describe the scent of their White Oil, it’s something you really have to smell for yourself but it truly is delightful. Throw in a hint of fig and you’ve got yourself one gorgeously scented product. 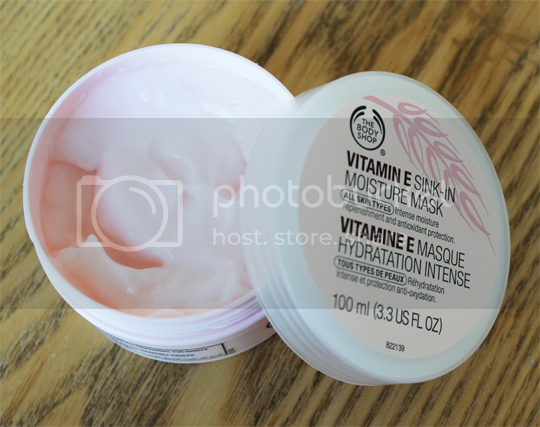 The Body Shop are again more modest on this front, with the Vitamin E Sink-in Moisture Mask giving the same gentle, inoffensive scent as the rest of their Vitamin E range. Texture wise, despite the fact that one is in a pot and the other in a tube they are almost identical. A whitish coloured, soft gel-cream hybrid that offers a cooling sensation when applied to the skin. The instructions for use on both products is the same, too. 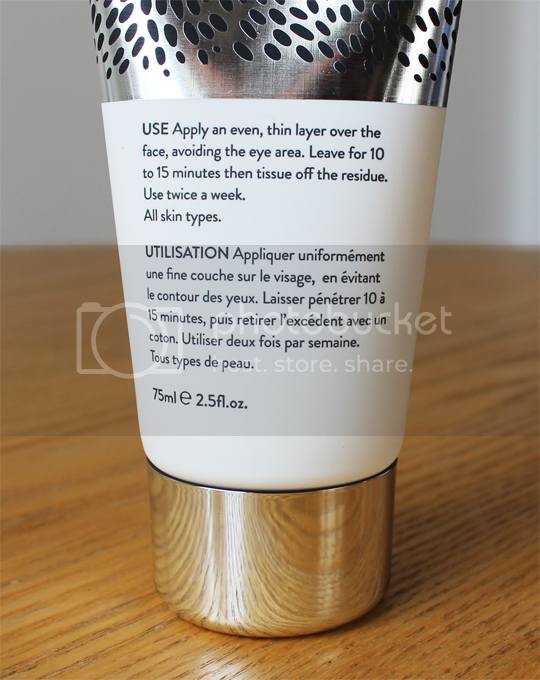 Smooth a thin, even layer over the face, leave for 10-15 minutes then tissue off any residue. Simple enough. Winner: Gazelli. Despite texture and application being essentially identical, Gazelli just about pips The Body Shop to the post for it’s scent. This is where it gets interesting. Gazelli give a lot of claims for their mask, including plumping and minimising wrinkles (which I can’t attest to I’m afraid), intense nourishment and and instant healthy, radiant glow. I’m sad to report that I didn’t realise experience any of these. While my skin looks and feels lovely after use, the effects don’t last long at all – in fact, I’m back to looking my usual dull self after maybe an hour if that. There has not been any accumulative effect with several weeks of use, either. The Body Shop happily match the expectations they give on this front, simply claiming that their mask will provide extra nourishment to the skin. It definitely does that, so I can’t complain that it doesn’t live up to what it says it does. Winner: The Body Shop, purely because it does what it claims to do whereas Gazelli falls a bit flat. Well, this is the big one, isn’t it? Gazelli Ultra Nourishing Saviour Mask costs £40 for 75ml and is available online direct from Gazelli, online from Urban Retreat or in Harrods. By sharp contrast, The Body Shop Vitamin E Sink In Moisture Mask costs £12 for 100ml and is available in store and online. Winner: The Body Shop. Obviously. Just goes to show, you don’t necessarily always get what you pay for! Hi Leanne, sorry to hear our Ultra Nourishing Saviour Mask didn’t live up to your expectations. For younger skin, the mask is more for for preventing the signs of ageing as opposed to diminishing the appearance of wrinkles, so we hope you will be able to see the results in the long-term.